The macOS login screen is fine, but it’s not what anyone would call exciting. It has a space for your account logo and name, as well as somewhere to type your password. It’s functional, but if you have a Mac that sits at the login screen for any length of time, you might want something a little more…interesting. 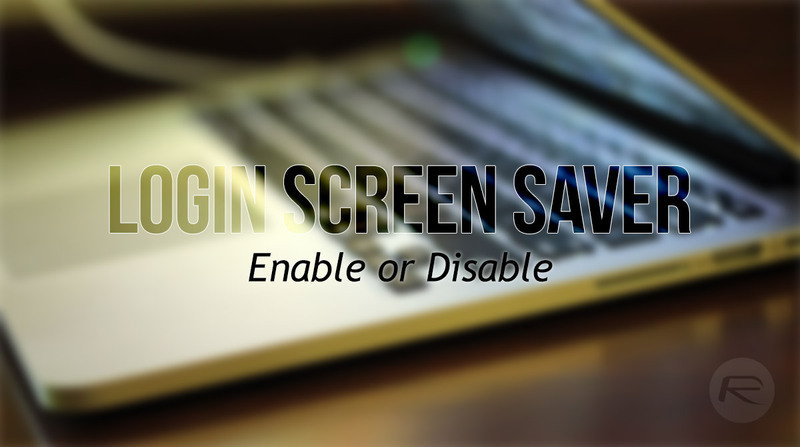 Thankfully, you can enable a screen saver for those times, or even disable if you don’t want the default. Apple, for a reason only someone in Apple Park will know, hides the setting to enable or disable a login screen screen saver at will. There is no user interface for it, but this being a Mac there is at least a way to do it via Terminal. If the thought of diving into the world of the command line makes you come out in a cold sweat, fear not. We’re going to tell you exactly what you need to type. With that said, let’s get started. While enabled by default, if for whatever reason you find it not working, here’s how to enable it. Step 1: Open Terminal either via Spotlight, or /Applications/Utilities. You’ll need to enter your Administrator password for this to work. 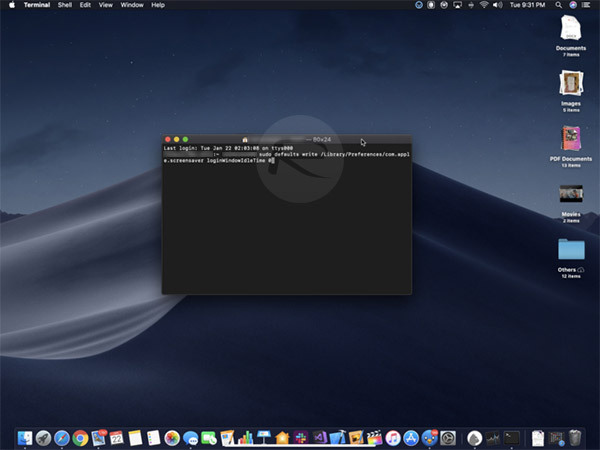 sudo defaults write /Library/Preferences/com.apple.screensaver loginWindowModulePath “/System/Library/Screen Savers/Arabesque.qtz” for the Arabesque screen saver. sudo defaults write /Library/Preferences/com.apple.screensaver loginWindowModulePath “/System/Library/Screen Savers/Shell.qtz” for the Shell screen saver. sudo defaults write /Library/Preferences/com.apple.screensaver loginWindowModulePath “/System/Library/Screen Savers/Flurry.saver” for Flurry screen saver. Logging out and back in will make the changes kick in, and to test you can either restart your Mac or just return to the login screen an wait for your pre-selected number of minutes to pass. This one is pretty similar to how you enabled the login screen saver in the first place. Simply enter the command below in terminal, where “0” disables the screen saver altogether.